A couple folks (Dave Winer, Gardner Campbell) shared a really interesting article this morning titled “Is Blockchain the most important IT invention of our age?” The timing is really nice because a good friend of mine, Dylan Mackey, has been helping me get up to speed on block chains and help me think through how it might be helpful towards university level projects such as the Personal API, which BYU has recently helped propel forward. My current analysis of how we can start to think about decentralized student data is that the idea of JSON passed through APIs is brilliant, but currently lacks a platform. My hope is that conversations will continue to evolve through what a platform could look like and how it could be broadly integrated with current institutional systems to, first and foremost, empower students with that data, as well as allow for an opportunity to publish it out in some form of social media. I’ll spare the details of blockchains and let you read the article, but essentially blockchain is the technology that backs the decentralized currency, Bitcoin. A distributed ledger is a special kind of database that is spread across multiple sites, countries or institutions, and is typically public in the sense that anyone can view it. 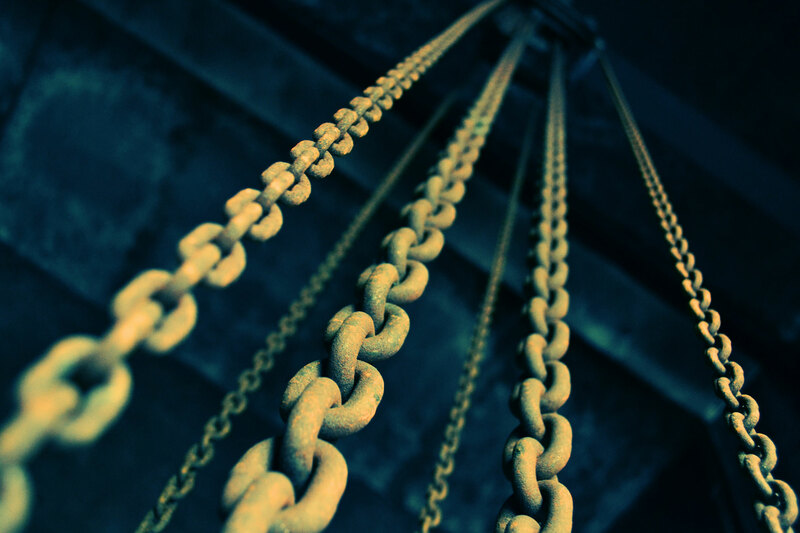 Entries in the database are configured in “blocks” which are then chained together using digital, cryptographic signatures – hence the term blockchain, which is really just a techie name for a distributed ledger that can be shared and corroborated by anyone who has the appropriate permissions. Distributed ledger technologies have the potential to help governments to collect taxes, deliver benefits, issue passports, record land registries, assure the supply chain of goods and generally ensure the integrity of government records and services. In the NHS, the technology offers the potential to improve health care by improving and authenticating the delivery of services and by sharing records securely according to exact rules. For the consumer of all of these services, the technology offers the potential, according to the circumstances, for individual consumers to control access to personal records and to know who has accessed them. Bingo. Individual consumers to control access to personal records. Something this significant being encouraged at a government level sounds almost too good to be true, but highly compelling. I want to throw out a really nascent idea that Dylan and I have been trying to flesh out in regards to higher ed. I am hopeful that it’s mildly coherent at this point. Let’s start first with credits. Specifically movie credits. Arguably, the website my wife, Katie, goes to most often is the International Movie Database (IMDB) website. When we watch a movie, 20 minutes into the film, without fail, she will whip out her phone and pull up the IMDB page for the movie. Most recently, we were at the movie watching Star Wars: The Force Awakens (I promise, no spoilers). A scene comes on with the General Hux character. She thinks she’s seen him somewhere so she’s searching on IMDB. A-ha! Domhnail Gleeson. He was in a Black Mirror episode, she tells me. My facial-name recognition is about as good as a goldfish, so I have no idea what she’s talking about, but she goes on to explain the exact episode that he was in. And suddenly we have pulled this information together as network; something in which we can relate to and empathize with based off of our previous relationship with other texts. Arguably, the number one value to the user in the social network is this: a way to organize and interact with their network which is made up of these disparate connections that have taken place over time. So those in the film industry, including actors, gather credits and over time these credits start to build up a collective body of work. I can interact with these credits and try to put together my own interpretation of who this actor is and how they have developed over time based on different variables. Box office smasher or flop? Lead role or supporting? Who was the producer? Was it an independent film? Is this actor more dramatic or comedic? These are all a bit of judgements on my part, as the interpreter, because, ultimately a credit is a credit is a credit. The credit is fairly neutral. Similarly, we can theoretically do a bit of similar approach to an academic transcript, right? What courses did this person take? Which courses show me potentially personal interest versus professional interest? At what point in the academic career was this taken? Inevitably, everything is an interpretation based upon my ability to relate to it. We’ve added grades and average grades to give some way of knowing a little bit about the course. But in reality, for better or worse, it is a limited analysis of what someone did and, thus, a credit is a credit is a credit. Again, the credit is fairly neutral (I hesitate calling something neutral once, even more so twice, but let’s play along for a second). What I didn’t realize until rather recently was how IMDB worked. It takes a similar approach to what Wikipedia does, which is that you technically aren’t supposed to edit your own IMDB profile page. In fact, you have to be external entity who pays for the rights to edit the page. This process means that someone has to verify that you indeed did earn that credit. I think IMDB breaks down in a couple places. First, you have to pay to edit, which means that what is actually created is a powerful third party who becomes more of the problem rather than the solution. Second (this is where I believe Wikipedia gets its right) is that the end user actually can’t see who made the edit. Where I believe both IMDB and Wikipedia get it wrong (r or right?) is that the owner of the public profile is not actually the person who the page is about (see Federated Wiki for Ward Cunningham and Mike Caulfield’s good work for how we can potentially mitigate this problem). The last technology I want to discuss is the web domain. I’m vocal about my affection for the web domain mainly because it’s a recognizable concept, offers an incredibly flexible infrastructure for hosting one’s content, and the closest any normal human can come to ownership on the web. I say closest because you actually don’t own them. You lease them from a domain name registrar which is managed by the Internet Corporation for Assigned Names and Numbers (ICANN), which I believe is an incredible piece to the puzzle. So the question becomes is it possible to take the best of these specific approaches of social media and apply it in a way that is meaningful to a student, verified by authority, and decentralized? Let me try to paint a picture. A student verifies who they are through an organization similar to a domain name registrar or ICANN. After doing so, they are allowed to download a local application, desktop or mobile, and, for the sake of not getting lost, let’s call the application Self. On Self, minimal information has already been added by the registrar, and the student fills out however much of the rest of the profile they wish to do so. Click save. This is where the blockchain technology really enters into the picture. So far, the student has created an encrypted private profile hosted locally. There are two main ways of interacting with the profile: viewing it and editing it. A portion of the Self profile can be viewed via the web, but it requires the user to push information to the public profile. Once the push takes place, a version controlled instance of the student’s profile exists publicly via the web. There are other portions of the Self profile that the user has in the profile but doesn’t disseminate publicly, such as detailed contact information. If you wanted to view this information, you could request this information from me, I could grant you access and pass you an API key to this specific information. Being that anything can be a record held within the chain, this seems to make sense in my head at least. Much like IMDB or Wikipedia, we have to acknowledge that there are instances in which the end user should not be able to add information. Like, for instance, your education transcript. But I would want the University of Oklahoma to add my transcript to my profile. So I give them an access key. For them, to edit information OU makes a fork of the education portion of my Self profile and populates the information. Once it’s passed back, you can see that these data points have been added by the different author than the student. By default, all you see is are the class names and perhaps the semester I took them, but attached to them could be a myriad of data such as grade, room location, syllabus perhaps, etc. I could decide at each data point what was visible on my public profile. For instance, I could say that I don’t want people to know I had to retake a math class so I hide that. I publish a new version of my page. Of course, this doesn’t change OU’s fork since they are hosting their version of the page locally. I hope that has any sense of coherency. I’m highly intrigued by this idea of the blockchain and will interested to watch to watch level this can get adopted at a meaningful level. One can hope that Bitcoin was a good enough test case as an opposition to high valued, data obsessive Silicon Valley technology.